Today, welding is an innovative assembly technique that is used in all areas. While the technique itself is widespread, some of its processes are as yet not so well known and underused. Laser welding falls into that category. In spite of its reputation as a complex process, it offers unparalleled advantages, in terms of both technique and costs. Using a laser beam to weld metals involves high energy density, giving rise to a capillary made up of molten material and metallic vapours. The thermal energy transferred to the core of the capillary generates a fine and penetrating bead. It solidifies instantly, providing metallic and metallurgical continuity. What is laser welding of metals ? Metals are welded by means of an optical head (scan head etc.) coupled with a power laser. Unlike other conventional welding processes, laser welding makes it possible to create a capillary made up of metal vapours, preceded by molten material. While welding, high energy density is transferred within the capillary, making it possible to obtain a very fine welding bead. The molten material that makes up the welded seam solidifies instantly, allowing the metallurgical and mechanical assembly of parts. 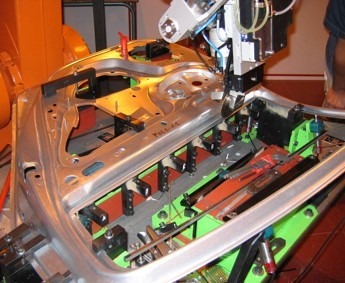 That assembly technique allows localised welding with very little deformation, and high accuracy. Laser welding is used in different areas of business: mechanical engineering (pinions, tooling, housings), transport (body work, stiffeners, casings, chassis, axles), energy (heat exchangers, fuel rods and grilles). The use of new laser technology along with a scan head makes it possible to make welds that are mechanically strong and sealed. Laser welding of fine materials generates small welds at a high speed. 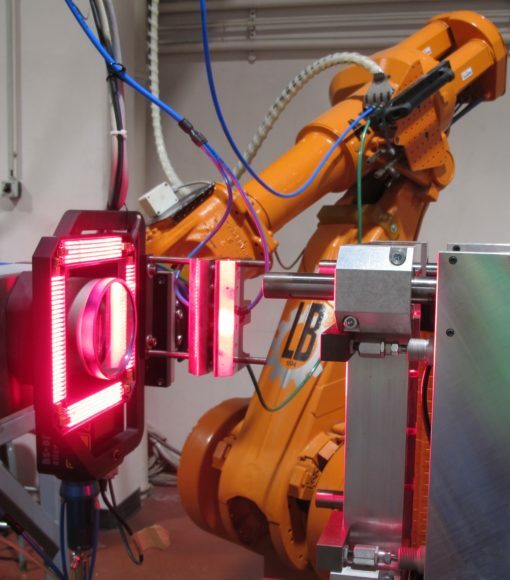 Today, advancing laser technology makes it possible to weld highly reflective materials such as copper or aluminium. Thanks to the precise management of laser welding parameters, small welds can be achieved even on highly reflective materials. The high welding speed significantly reduces deformations, making it possible to weld watch movement parts. Examples: welding of pins to sprocket wheels, rotors to pins, welding links and pins for watch straps, welding of precious metal appliqués on dials. The very low deformation due to the effect of the laser makes it possible to assemble finished parts such as components of gear boxes or cam shafts. Lasers also allow new assembly designs, for example to replace bolted assemblies in regulation components. IREPA LASER has leading-edge equipment dedicated to the laser welding of metals in order to handle the metal welding projects of its business customers. The use of laser machines for welding metals provides an effective solution for many assembly needs (macro and micro). In order to secure optimum performance, in terms of both technology and costs, it is crucial to understand and control the operating parameters.